An important aspect of wedding planning is the choice of a wedding theme. The wedding theme will aid you in selecting the perfect complementary gown or outfit for your wedding day. 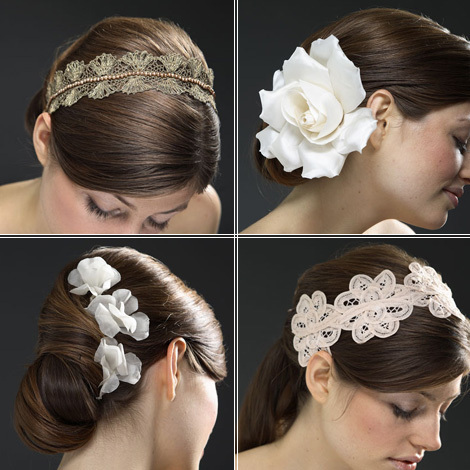 The choice of your makeup and hairdo is also dependent on the wedding theme. You will want something that will ideally blend with your wedding’s overall theme. So what excatly does it mean by wedding theme? Well, wedding theme is simply the overall scheme that includes the venue, the makeup and color choices, and the bride's personal style. Of course, whatever you pick should all be go well with the look of her husband-to-be! Getting your makeup to be complementary to your overall wedding theme is not as simple as you may think. It is affected by factors, such as the theme and venue of the wedding. You should always use natural colors for your base makeup. The focus colors should be fresh and uplifting, such as natural peach for the lips with a glossy effect, and pale lime-green for the eye shadow. You can have flowers in your hair, or a flower crown. You can also set your hair naturally with natural hair blow and use a small band around the hair. You should use foundation and powder that matches your natural skin colour and use bright colours like hot pink matte for the lips. Apply a pale crème for the eye shadow and finish the look with a shimmering loose powder around the face and neck. Get a simple hairdo, such as ponytails with some small details like a single white rose. Try to play up the glamor and elegance effect. You can try experimenting with gold and solid colours. To keep up with current trends, you may want to try bright red for the lips and gold for the eye shadow. Use shimmering gold loose powder as a finishing touch. For the hairdo, you can create an elegant French twist without too much details, or a glamorous twist with a touch of crystal or pearl accessories. In summary, keep in mind that the perfect look of the bride depends on the wedding theme, so decide on the wedding's theme as soon as you can, and be prepared to dazzle everyone on your big day!